This site acts as a point of presence on the web for SP Pilates, a Norwich-based Pilates instruction business. Its purpose is to provide timetable, cost and general class information for both potential and existing Pilates students. The client wished to promote one-on-one tuition and client testimonials so prominent call-to-action graphics are placed on every page of the site to drive users to view these pages. 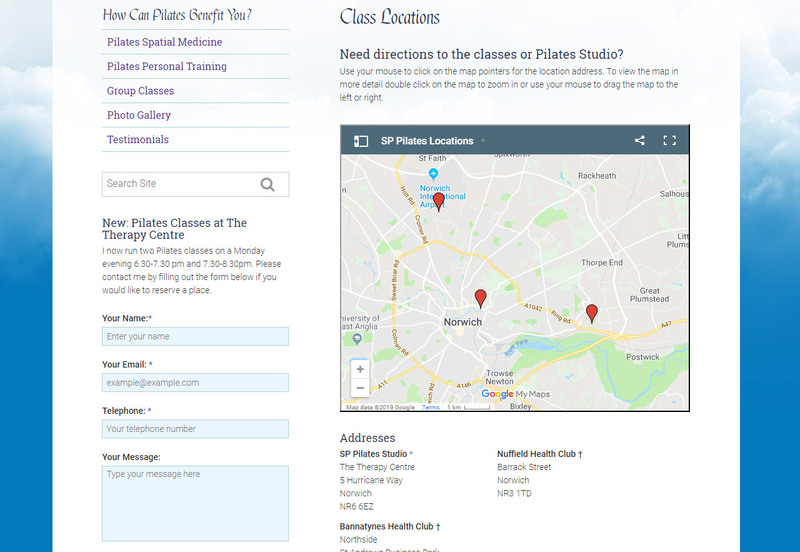 In order that clients can find class locations a Google Map page was a must. I have been extremely pleased with Amanda’s Little Bird Web Services. Amanda was able to guide me with her expert knowledge on how to present an eye-catching website. 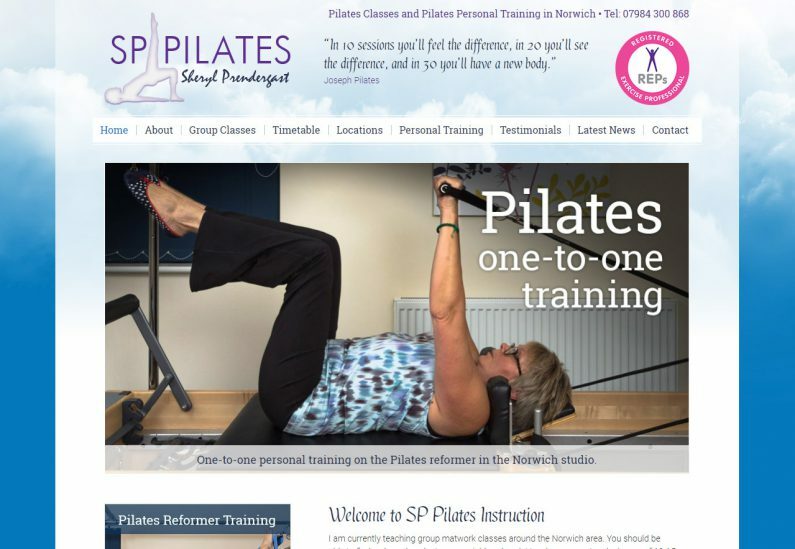 I became self employed with my Pilates Studio five years ago and I can honestly say that the website has been a key point in providing a very good way of reaching out to the public. 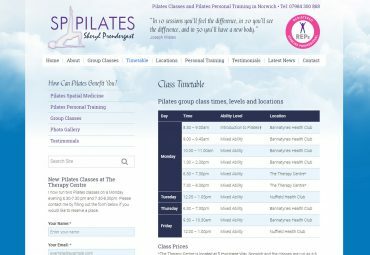 For me, the website was able to offer everything that the public needed to know about my Pilates teaching whilst maintaining a down to earth and direct approach. Amanda was very helpful to work with and was also able to put forward valuable ideas of how to construct my website. I wouldn’t hesitate to recommend her services.